Bele dose is a guilt free breakfast dish prepared with bengal gram (chana dal ), husked split green gram (moong dal), husked split black gram (urad dal ) and semolina (rava). Yogurt is added just to give a sour taste to the dosa. Urad dal and rice dosa is a common breakfast dish in South India. But, this mixed lentils dosa is an interesting alternative to usual urad dal and rice dosa. This is a healthy breakfast dish which provides both proteins and energy. Consuming 2 -3 dosas for breakfast, provide sufficient energy balance till lunch. I have used rava ( semolina ) in this dosa for my convenience. 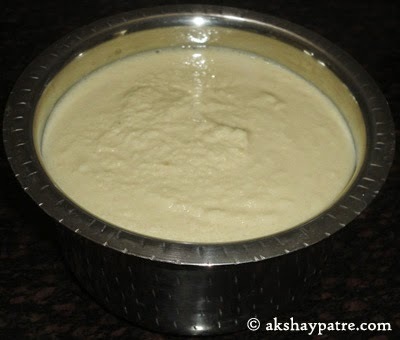 You can add soaked and ground rice paste instead of rava. However, the taste will remain same. If you choose to make it with rice paste, make sure to soak the rice for thirty minutes before grinding. Some kids eat too little dal dishes or proteins rich food. For them this dosa is an ideal dish, since it is a dish in combination with various lentils and lentils are rich sources of proteins. Dosa and chutney are team players. This dosa goes great with capsicum chutney. You can serve it with choice of your chutney. Even chutney powder goes well with it. 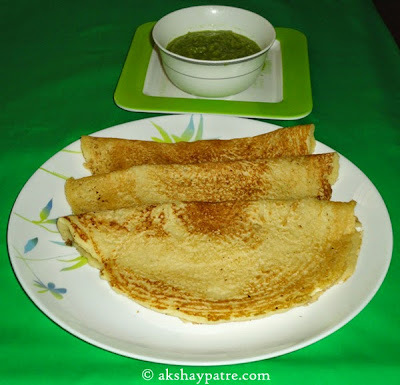 If your kids refuse to eat dosa with chutney, you can serve it with fruit jam and honey. Grind the soaked and drained lentils along with yogurt in batches, using 3 to 3½ cups of water. Grind it to a smooth batter and transfer it to a vessel. Add the roasted rava and salt. Mix well and make a medium thick, pouring consistency batter. Add more water if required. Heat a non-stick pan and apply 1/4 tsp of oil on it. 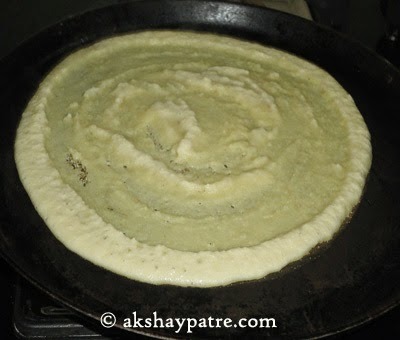 Pour a ladle full of dosa batter on it and spread it to a circular motion and make a medium thick dosa. Cook till the base become light brown and flip it. Cook for another 2 minutes. Transfer the dal dosa to a serving plate and serve with choice of your chutney. I have not added any tempering to the batter. However you can add tempering with mustard seeds, chopped curry leaves and chopped green chillies. For the tempering, heat two tsp of oil and splutter mustard seeds in it. Add the curry leaves and chopped green chillies. Saute for a minute. Pour this tempering on the batter and mix well. Even you can add chopped coriander leaves to it. 1. Grind the soaked and drained lentils along with yogurt in batches, using 3 to 3½ cups of water.. Grind it to a smooth batter and transfer it to a vessel. Add the roasted rava and salt. Mix well and make a medium thick, pouring consistency batter. Add more water if required. .3. 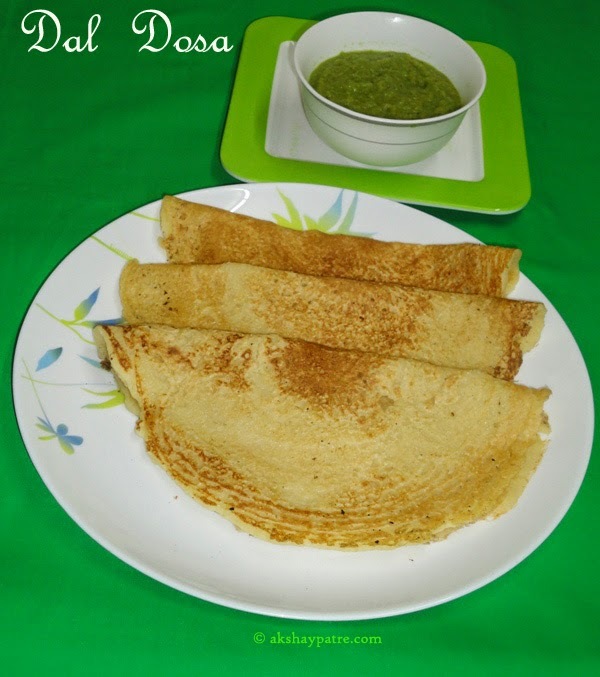 Transfer the dal dosa to a serving plate and serve with choice of your chutney. Healthy platter ...... Looks yumm!! Thank you for visitng Akshaypatre. If you like my posts you can follow me on Facebook, Google+, Pinterest, Instagram, Twitter. 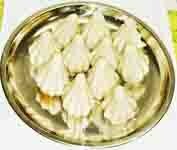 You can like Akshaypatre Recipes page on Facebook. You can also subscribe via email to get latest recipes free. Your comments and suggestions are most welcome. All content in this website is copyrighted. © akshaypatre.com. All rights reserved. Powered by Blogger.